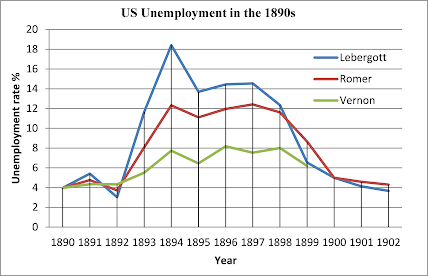 Social Democracy for the 21st Century: A Realist Alternative to the Modern Left: US Unemployment in the 1890s: Who is Right? "As an aside, this is also my 1000th post!" Thank you for all the really insightful posts, LK. I've learned so much important information from reading this blog especially. Happy New Year. 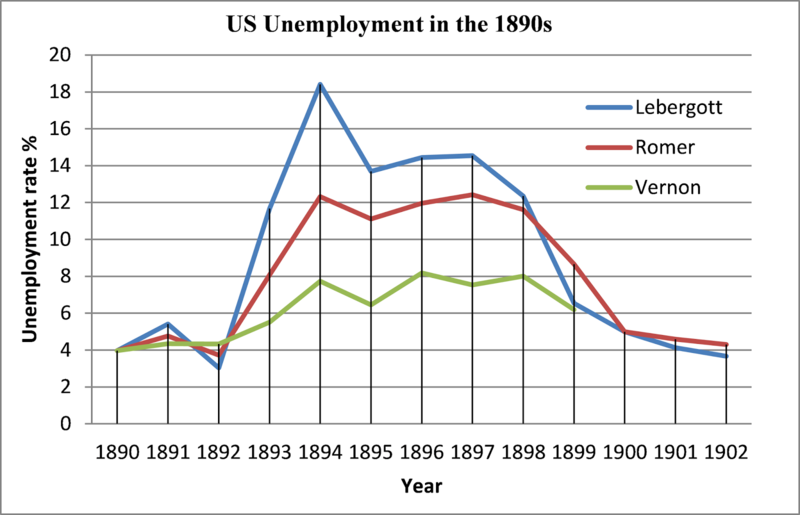 Anecdotal evidence would suggest a very high rate of unemployment at this time too. If I were to investigate this further I would have a look at wages in the period and compare them to other 19th century recessions. 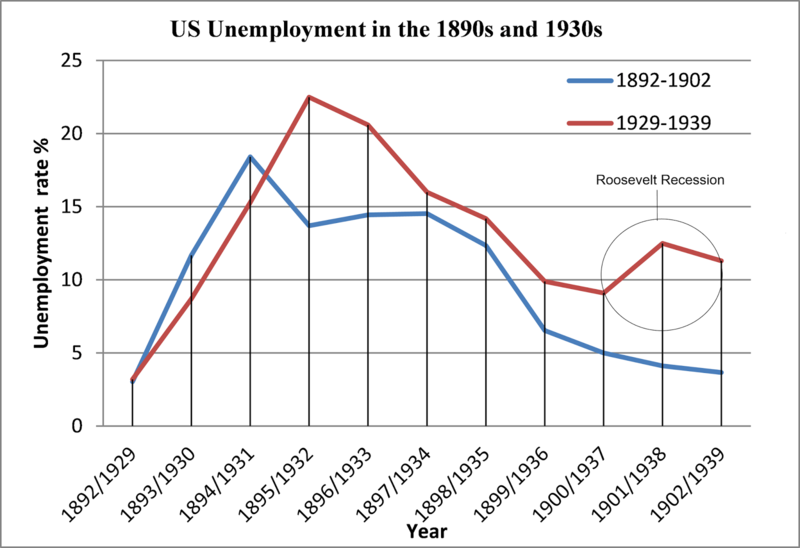 If you saw substantial wage declines it might be evidence that unemployment was fairly high. And wages statistics are usually quite reliable. Obviously, given the period, the other evidence that might be reliable would be prices. 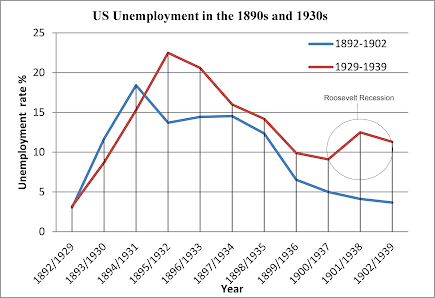 But then we already know that this was a deflationary period and that is evidence of very high unemployment. So, I'd go with wages. Happy New Year and good work on 1000 posts!